Corio measuring system is intended to be mounted on dispensers and is at heart of our LPG dispensers Corio / Corio Duo. 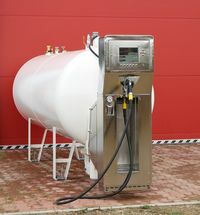 Corio dispensers have a specially developed design for use on autogas filling skids. The key element of the dispenser is a mass flow meter Endress+Hauser, which exactly measures dispensing amount using Coriolis principle. 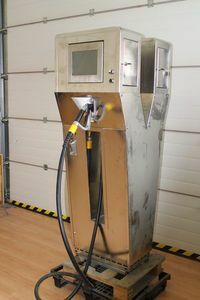 Data from the flow meter is then processed by Kadatec measuring unit, which transmits it to the fuel station terminal. The dispenser is certified according to the European Directive 2004/22/EC of measuring instruments and ATEX Directive 2014/34/EU. Possibility of self-service via banking cards.